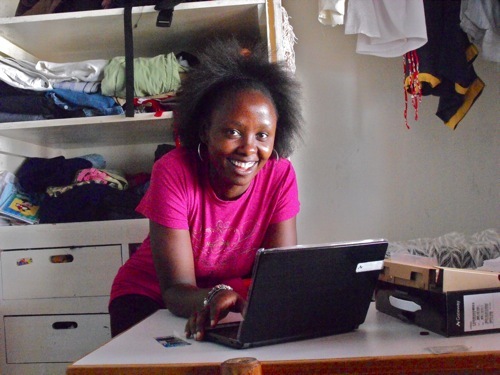 Mary, the first girl from Saint Monica’s Children’s Home to go to college, now has a computer. Jeff and Rocky Turner purchased it prior to their trip to Kenya right after Christmas. Unfortunately, the world is not a level playing field. We believe where you are born should not dictate the quality of your life, and anything we can do to help level it for those all around the world is a step in the right direction. If you’re not making someone else’s life better, you’re wasting your time. What are you doing to better the lives of others?